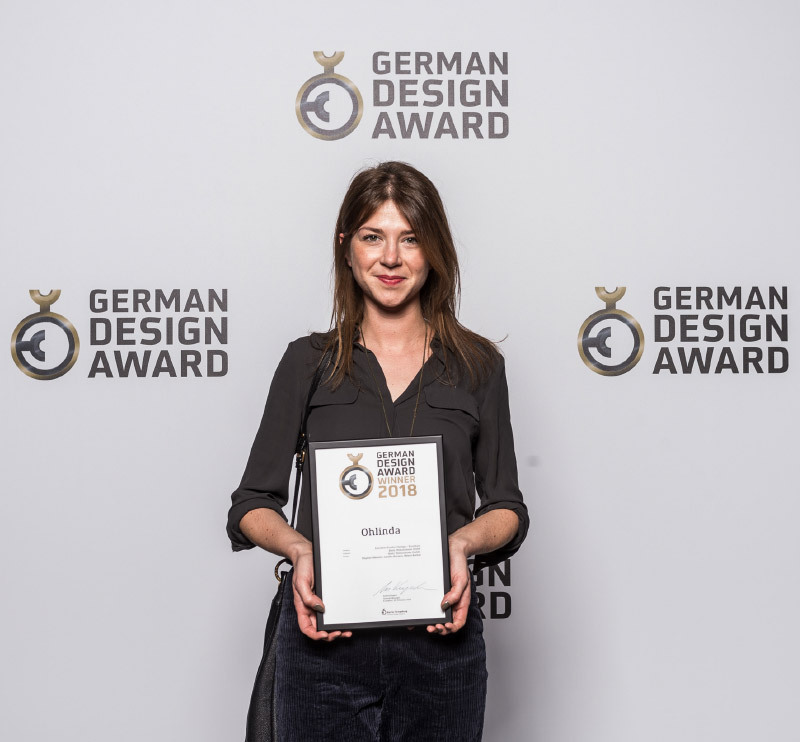 German Design Award received at the Ambiente Fair in Frankfurt. The German Design Award takes a close look at the development of design as well as the groundbreaking trends and the people behind them. That’s why it is one of the most honored international design awards. 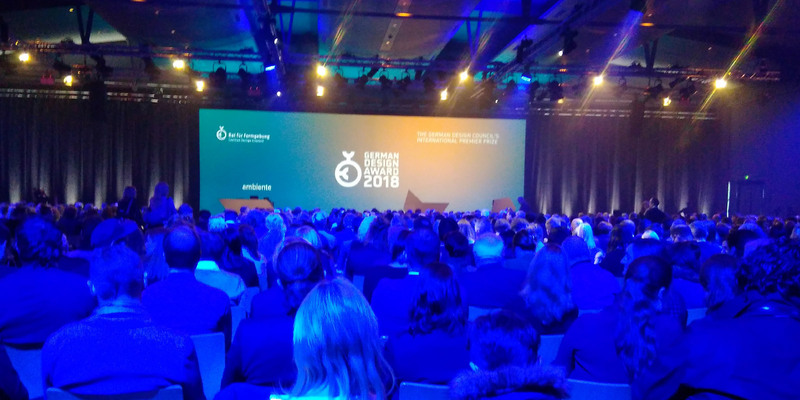 No wonder there was a crowded house the day of the award ceremony, as Detlef Braun, Messe Frankfurt’s Managing Director, says enthusiastically. And we have been right there! 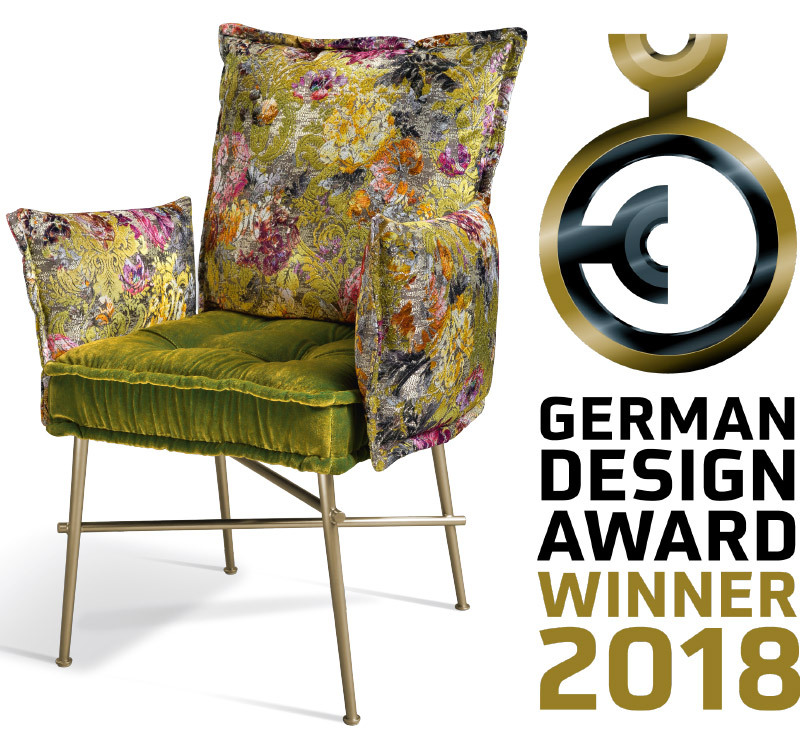 The German Design Award is being rewarded by the German Design Council, Germany’s number one authority for brands and design. The Council’s goal is to strengthen and support a brand’s excess value through its design. This year, for the very first time, there have been more than 5,000 entries from 58 different countries in all classes – an all-time record so far! And among all these entries, our OHLINDA Chair stood up and claimed (well-deserved as we think) one of the winner labels. Excellent product design does not just look great, it is also functional and offers certain extras to the customer. Thus, it’s no wonder our OHLINDA Chair has been rewarded for its excellent product design: With OHLINDA, a lounging comfort level of seating, which is based on the high-class upholstery combining steel shaft “Nosag” springs and pocket spring cores, meets extraordinary design. And it’s the details that make this chair so unusual, like its rainbow colored, iridescent, cone-shaped legs; the chair is available with and without armrests; the covers of all arm- and backrests can be taken off and are exchangeable, which is a definite added value to the customer when using the chair. Dipl. Designer Dagmar Marsetz receiving the award-winning certificate for her first Bretz design. The OHLINDA Chair was a real challenge in the production process, but definitely worth pursuing! …but Dipl. Designer Dagmar Marsetz, who joined Bretz in 2016, accepted the challenge and was finally honored by receiving this award-winning certificate. Even though the chair is based on our OHLINDA Sofa, there are major differences regarding its basic set-up and proportions. In just four months, Dagmar developed and designed this delicate, rather sophisticated chair together with our in-house development division. Both the material as well as the manufacturing processes used for producing the OHLINDA Chair have been totally different from all of the former Bretz (arm-) chairs and seats. WE DO NOT WANT TO REVEAL TOO MUCH, BUT THERE IS MORE TO COME! 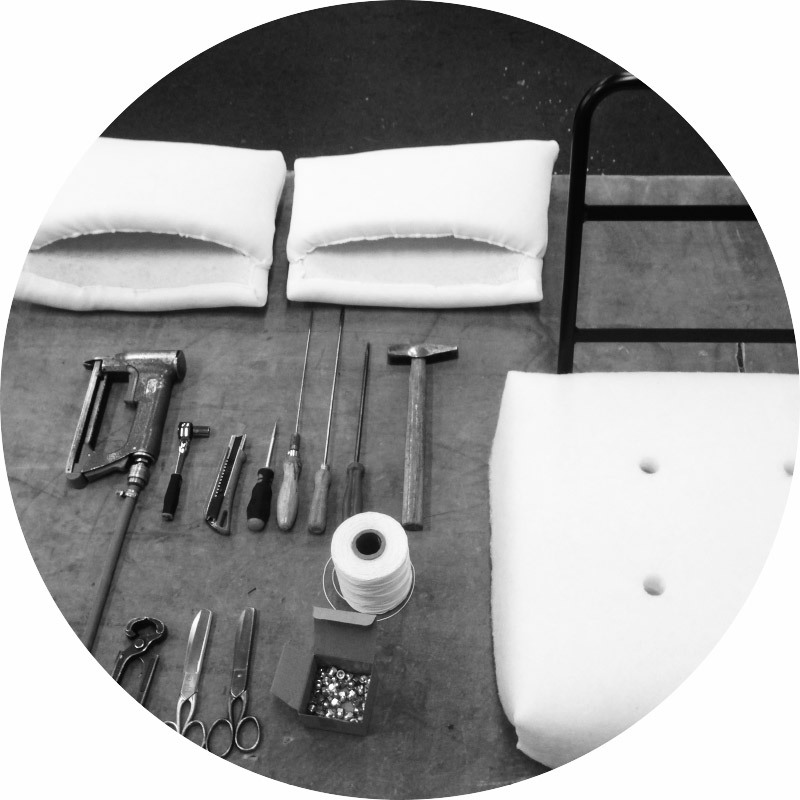 Next week we will present the winner’s exclusive “Making Of”: The making of our OHLINDA Chair!!!! !